Good traffic is a waste without high converting landing pages. 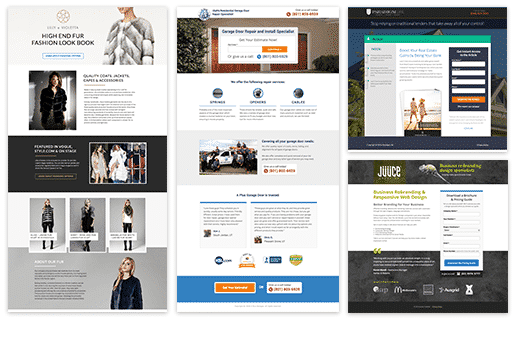 We build landing pages in Unbounce that are individually designed for your business. No two sites are the same, we build and optimize your landing pages to perfectly suit the needs of your audience. 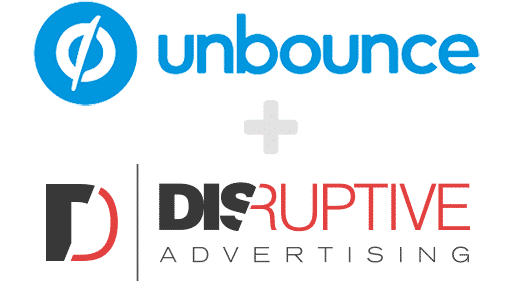 Disruptive Advertising has been working with Unbounce for as long as we’ve been building landing pages. This working relationship has turned into a strong connection with their product and development team, allowing us to jump into the earliest betas of new features, and contribute feedback and ideas to future product additions. 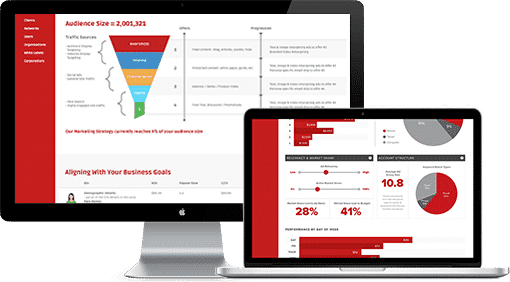 Disruptive also has a dedicated customer success representative with Unbounce, ensuring that bugs that affect our client pages are dealt with quickly and effectively. 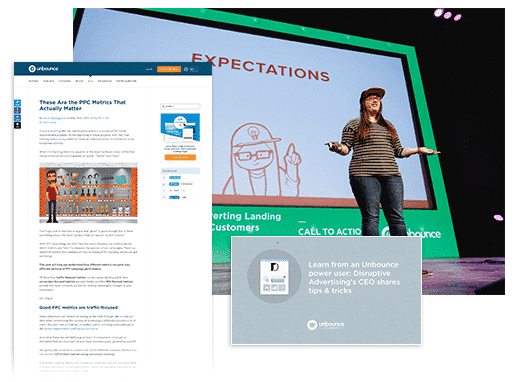 Over the years, multiple Disruptive employees have had the opportunity to contribute to Unbounce’s blog, podcast, webinars and even marketing conferences. 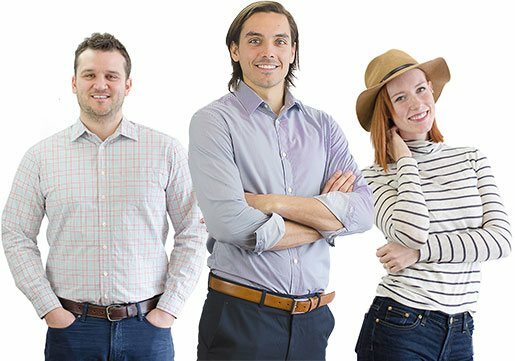 Unbounce recognizes that Disruptive has employees that are passionate about marketing, and have special something to contribute to the industry. Advertise Where It Really Counts.